There are just four teams left standing in the NFL Playoffs, and those teams will square off on Sunday. The top two seeds in each conference are set to square off in two games that should be highly competitive and exciting. Both of the home teams are favored to win, but the road teams have plenty of reasons to take them. Each game is also a rematch of a regular season matchup, but a lot has changed since those two meetings. Let’s take a look at each game before making a betting prediction for each one. 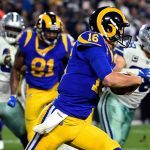 The NFC Championship game featuring the New Orleans Saints and Los Angeles Rams will likely be a high-scoring affair. The Saints were able to beat the Rams earlier in the season, winning by a score of 45-35. The winner of this game will likely be the team who is able to play just a little bit of defense, but all eyes will be on the explosive offenses. Saints quarterback Drew Brees set an NFL record this season by completing 74.4 percent of his passes during the regular season. Brees has been one of the best quarterbacks in the NFL for quite some time, but seems to be getting better with age. The Saints offense also features one of the best wide receivers in the NFL in Michael Thomas. Thomas had 12 catches for 171 yards, and one touchdown in the Saints win over the Eagles and should find plenty of space in a struggling Rams secondary. New Orleans will try to win this game with their passing game, but the Rams will use their dynamic duo of running backs. Todd Gurley has been a stud all season long, but C.J. Anderson has come out of nowhere to give the Rams a terrific 1-2 punch. Los Angeles ran for 273 yards in their playoff win over the Cowboys, and will likely use the same strategy in this game. If the Saints are able to stop the run, the Rams still have a terrific quarterback in Jared Goff and an innovative play-caller in Sean McVay. The Saints were the better team in the first meeting of the season, and there is no reason to think that it won’t happen again. New Orleans is almost impossible to beat in the Superdome, and they are the team that features the best defense out of the two teams. The Los Angeles Rams will be in a Super Bowl very soon, but it won’t happen this year. Bet the New Orleans Saints -3.5 over the Los Angeles Rams. 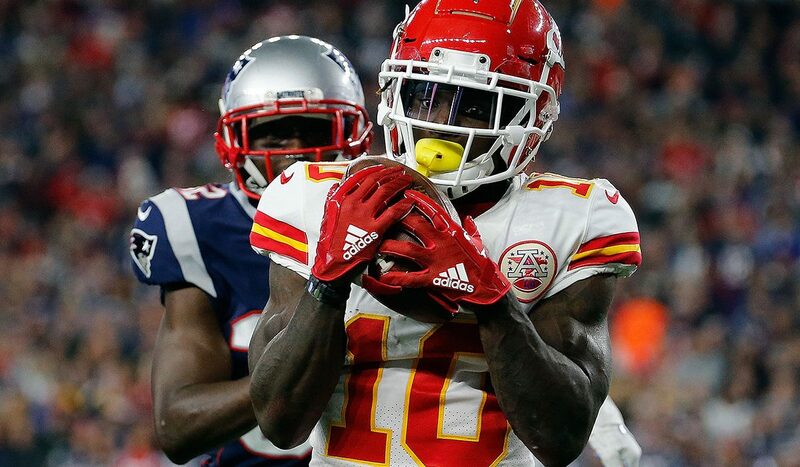 The Kansas City Chiefs will host the New England Patriots in another rematch of a terrific regular season game. New England was able to win that game by a score of 43-40 in Foxboro, but will now have to deal with a raucous crowd at Arrowhead Stadium. Weather could play a huge role in this game, as snow is projected along with frigid temperatures. 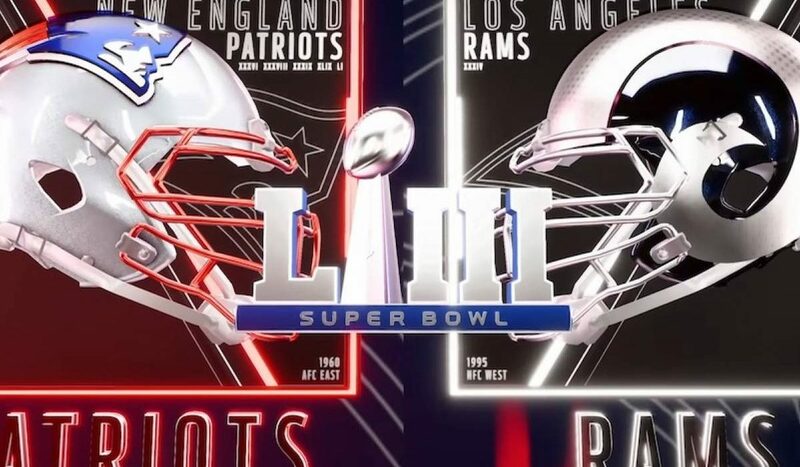 The Patriots have proven that they can win Championship Games in any weather, while the Chiefs are trying to reach their first Super Bowl since 1970. Patrick Mahomes and the Kansas City Chiefs offense has been the talk of the NFL all season long. Mahomes became just the third player in NFL history to throw for over 5,000 yards and 50 touchdowns in a season. What makes this even more impressive is that this is the first year as starting quarterback for the stud QB. Tight end Travis Kelce and wide receiver Tyreek Hill have been the top targets for Mahomes this season. 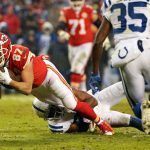 Kelce and Hill combined to rack up 2,800 receiving yards and 22 touchdowns during the regular season. Defense is a question mark with the Chiefs, but they can score some points. The Chiefs aren’t the only team with a great quarterback, as Tom Brady still leads the Patriots offense. Brady had an up and down regular season, but looked like his old self in the playoff game against the Los Angeles Chargers. The five-time Super Bowl champion threw for 343 yards in the AFC Divisional Round win, but he had plenty of help. Rookie running back Sony Michel had 129 of the team’s 155 rushing yards in that victory and scored three touchdowns. Head coach Bill Belichick has a history of creating a defensive game plan to slow down an opponent’s best player, and he will have something up his sleeve for the Chiefs high scoring attack. Kansas City has been the best team in the NFL all season long, and they look like the clear favorite in this game. Their offense is close to unstoppable, and they will have a huge edge of playing at home. It might be a smart play to take the Chiefs in this game, but there is no way I’m betting against Tom Brady and Bill Belichick. Brady and Belichick just know how to get the job done, and I think it happens again on Sunday. Take the points and Bet the New England Patriots +3.5 over the Kansas City Chiefs.